Grand Opening & 3rd Anniversary of SEACHAMPA! 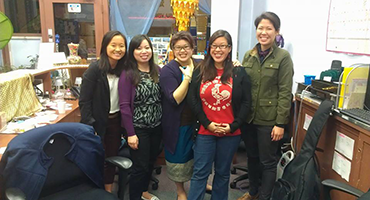 Friends and supporters alike came down to our new location in Chinatown in San Francisco to join us in celebration of our 3rd Anniversary! Interns gave presentations of the different countries of South East Asia while guests enjoyed yummy finger food and musical entertainment by special guest singer Lynna Vong. Things got spooky at SEACHAMPA when interns hosted this event explored the legends and ghost stories of Asian Culture. A slideshow of ghoulish images showed some folklore from South East Asia and interns told some great ghost stories that thrilled our guests. 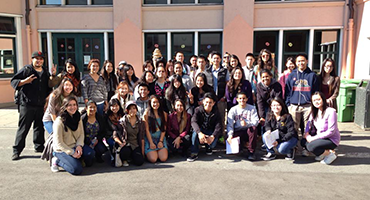 Our first intern hosted event of the Fall 2013 Semester was a fun and educational walking tour in the western extent of the Tenderloin called "Little Saigon". 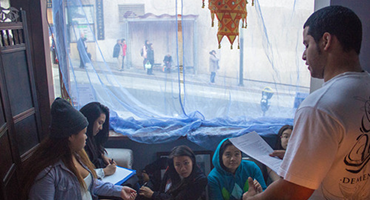 Wrapped in cultural history of Vietnamese, Laotian, and Cambodian immigrants, our interns delved back in time and educated tour participants of the significance of this sections of San Francisco.